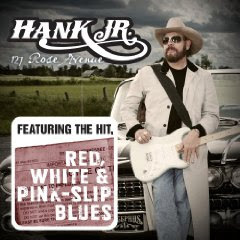 Hall of the Mountain King: Review: Hank Williams Jr., "127 Rose Avenue"
Review: Hank Williams Jr., "127 Rose Avenue"
Growing up, I was a big Hank Williams Jr. fan. It was almost a requirement around here in those days. In fact, he was one of only a couple of country artists that I had any interest in listening to in my younger days. Unfortunately, the 1990s saw him become a caricature of himself with a string of albums that could be called mediocre at best and the "Monday Night Football" themes that he became better known for than his music. That changed with the release of "The Almeria Club Recordings" in 2002, a back-to-roots effort that was easily his strongest record since the 1980s. I was interested to see whether his latest, "127 Rose Avenue," would continue in that vein or go back to some of the cartoonish work of the 1990s. The answer is, a little bit of both. It's a Hank Williams Jr. record, so you know off the top a few things to expect. You'll have the comic song ("High Maintenance Woman," check), you'll have the blue collar anthem ("Red, White and Pink-Slip Blues," check), you'll have the cover of a Hank Sr. song ("Long Gone Lonesome Blues," check), you'll have the song about Hank Sr. (the title track, check), you'll have the politically incorrect social issues song ("Sounds Like Justice to Me," check.) The key is in how he executes them, and on this record, the answer is very well. The only truly awkward moment on the album is the first track, "Farm Song." It seems that Hank's getting all the excess energy and goofiness out of the way on that track so he can settle down and focus on music for the rest of the record. "127 Rose Avenue" really begins with the first single, "Red, White and Pink-Slip Blues," which is sure to strike a chord in the current economic times. It tells the story of blue-collar worker and his life after the local mill closes its doors, as he dodges creditors and repo men and tries to rebuild his life. While there are some lyrical cliches sprinkled throughout ("I can't even buy my baby shoes"), it's still poignant picture of what far too many Americans are up against these days. He follows the somber moment with a little levity on "High Maintenance Woman," which lightens up the mood of the record. After that, there are a variety of stops along the way. He offers up a tribute to his father's backing band in "The Last Driftin' Cowboy," drifts off into bluegrass with backing from the Grascals on "All the Roads," provides a rowdied-up rendition of "Long Gone Lonesome Blues" and offers opinions on "Sounds Like Justice to Me" that are sure to make some cheer and some squirm. But the centerpiece of "127 Rose Avenue" is the title track. It's a nod to the address of his father's boyhood home in Montgomery, Ala., and the song is a tribute to Hank Sr. and all of the musicians that come from the same place. It's a melancholy and haunting piece with some outstanding, smooth lead guitar work. The song meanders between the Eagles' "Hotel California" and other dark Hank Sr. tributes like David Allan Coe's "The Ride" and Alan Jackson's "Midnight in Montgomery," and it's quite possibly the best song that Hank Jr. has recorded since his heyday in the 1970s and 1980s. 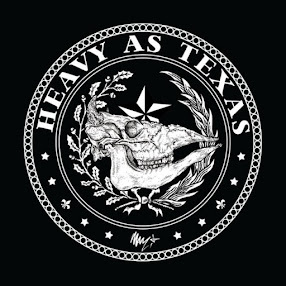 While, as a whole, I don't believe this record is quite as strong as "The Almeria Club Recordings," it's certainly miles beyond most of the lackluster efforts that Bocephus has churned out in the last 20 years or so. It's a solid piece of work with, for the most part, the attention on the music rather than on the singer. And the title track alone is worth every penny. Review: Spheric Universe Experience, "Unreal"
Review: Devin Townsend Project, "Ki"
Review: Magica, "Wolves & Witches"
Review: Iron Maiden, "Flight 666"
Review: Alestorm, "Black Sails at Midnight"